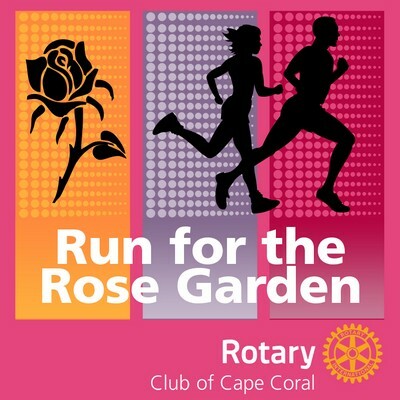 Run in the Cape Coral Rotary Club's annual 5k race beginning at Rotary Park and winding through the lovely Rose Garden area of South Cape Coral. This event is open to all. T-Shirts are included with your registration. Medals will be awarded in differnt age, gender and overall groups. Refreshments and a water station will be provided. Registration on the day of the event will be $30.00. The event will be held at Rotary Park on February 10th, 2018. Packet pickup begins the day before the race at The Run Shoppe at noon and on race day at 6:30 am and the race goes off at 7:30 am sharp.